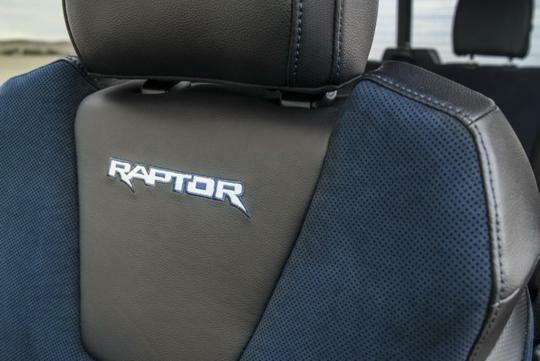 Ford has updated the current Ford F-150 Raptor with a few changes. One of the more interesting ones is the new Trail Control. 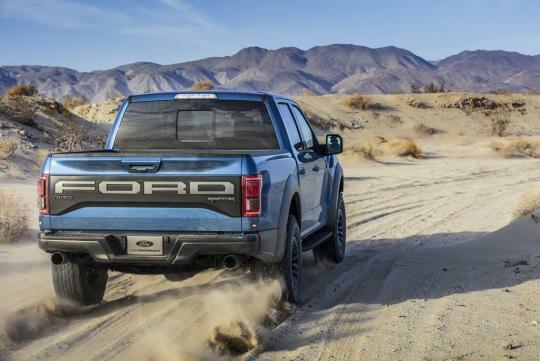 Marketed as a cruise control for off-road driving, the system can be used at speeds between 2-32km/h, and can be operated in all four-wheel drive modes that the truck has. Much like a normal cruise control, it basically takes care of the throttle and braking while the driver does the steering. However, unlike a normal car's cruise control, the system can also assist the drivers in difficult off road conditions overcoming obstacles by pushing torque to each wheel accordingly. It can also help the truck desent a hill on its own. 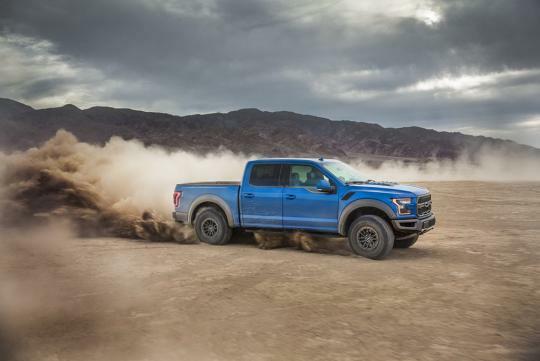 Frequent off-road drivers will be pleased to know that the system can also dig itself out of slow sand or other similar terrain that might bog the truck down. 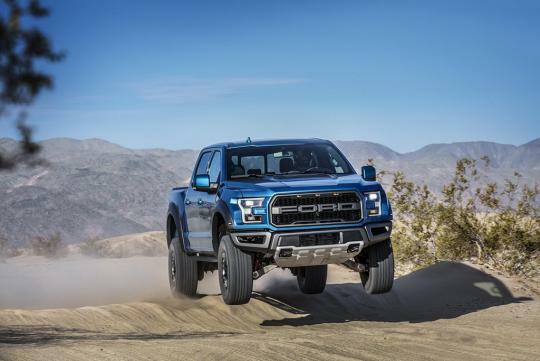 Other changes to the truck include new body colours (Velocity Blue, Performance Blue and Agate Black), new wheels and refreshed Recaro seats with blue Alcantara inserts and contrast stitching.